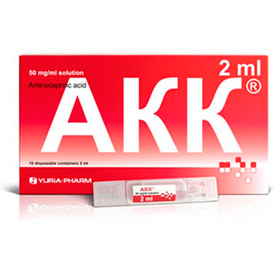 Reliable protective barrier against influenza and cold! 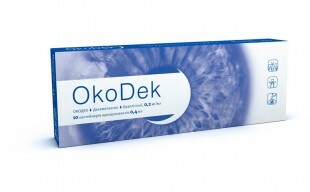 10 disposable containers, 2 ml and 5 ml. 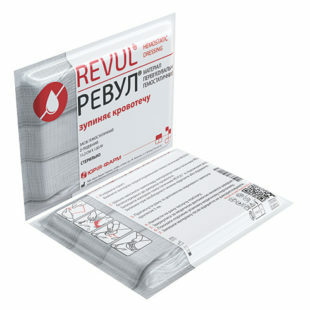 REVUL® — hemostatic dressing is a highly effective blood stopper made from natural substance chitosan, intended for arrest of different types of bleeding. 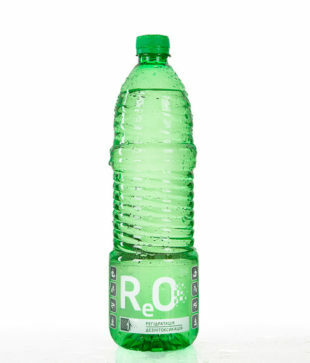 It recommended for conditions that are accompanied by dehydration and intoxication. 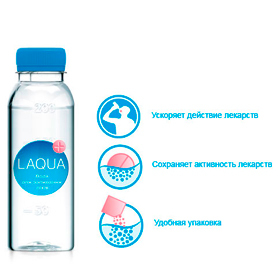 LAQUA®, water for taking medicinal products, was designed by YURiA-PHARM Pharmaceutical Corporation. 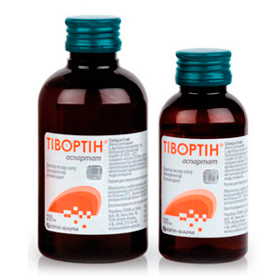 Yunorm® is a strong antiemetic agent. Yunorm solution, 2 mg/ml, closed preparation system 8 mg. Yunorm solution, 2 mg/ml, 2 ml No.5 ampoules. 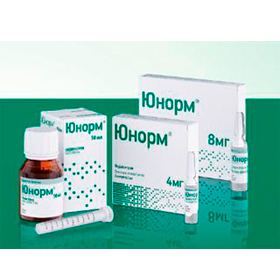 Yunorm solution, 2 mg/ml, 4 ml No.5 ampoules. Yunorm syrup, 4 mg/5 ml, 50 ml. 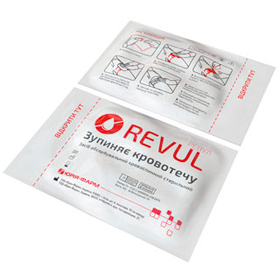 Revul is a highly effective haemostatic agent based on natural high molecular weight polymer. 30 g, 60 g spray cans. 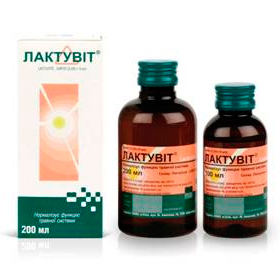 Universal medication for sanation of the conjunctiva in complex treatment of inflammatory eye diseases. Natural laxative for regular bowel movement! 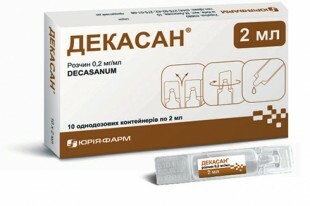 Single-dose 2 ml containers, 10 pcs per pack.